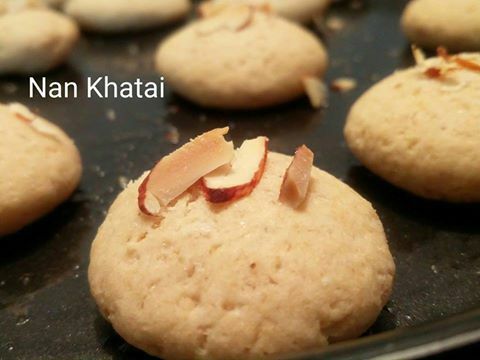 Nan Khatais are sweet Indian shortbread cookies which can be enjoyed with a hot cup of tea. They can be made easily with very few ingredients. 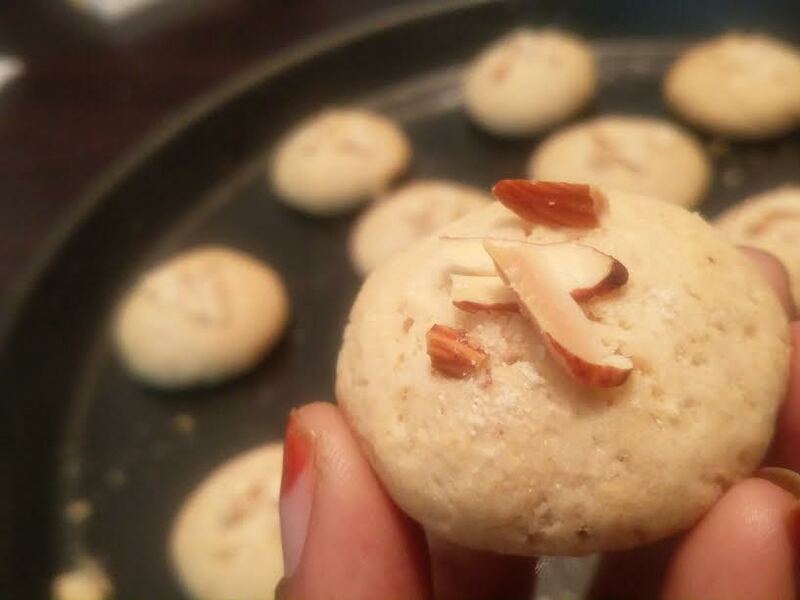 I have made this using white flour but it can also be prepared using whole wheat flour to make it even more healthier. 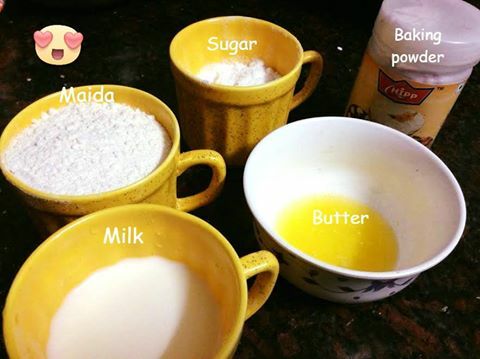 Step 1: Mix all the ingredients and make a dough. The dough should be greasy. Step 2: Pre-heat the microwave at 180 deg and then make small round shaped balls from the dough. Don’t make thick balls as it will rise. Make thin small balls. Step 3: Garnish it with sliced almonds and cardamom powder. Step 4: Bake it for 20-25 minutes till it becomes golden brown. 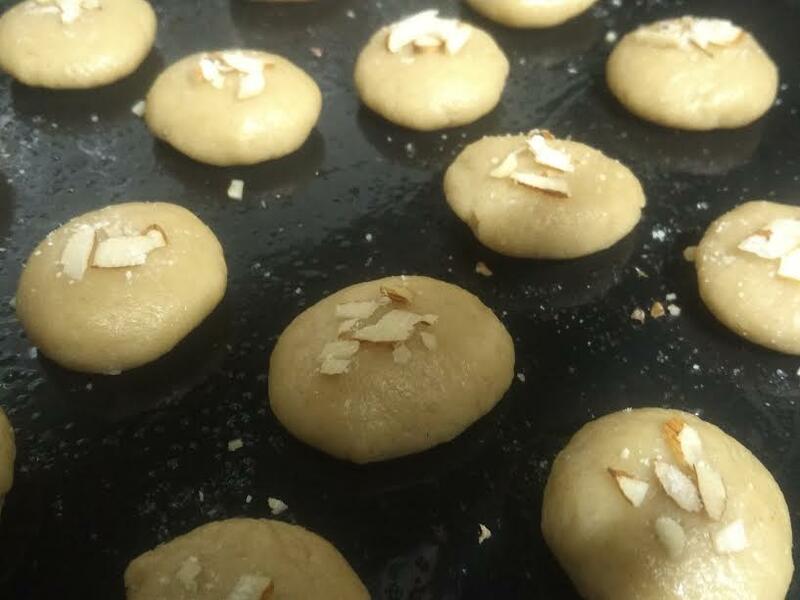 The yumm nankhatais are ready to be enjoyed with a hot cup of tea. -Sieve maida, baking powder and salt. 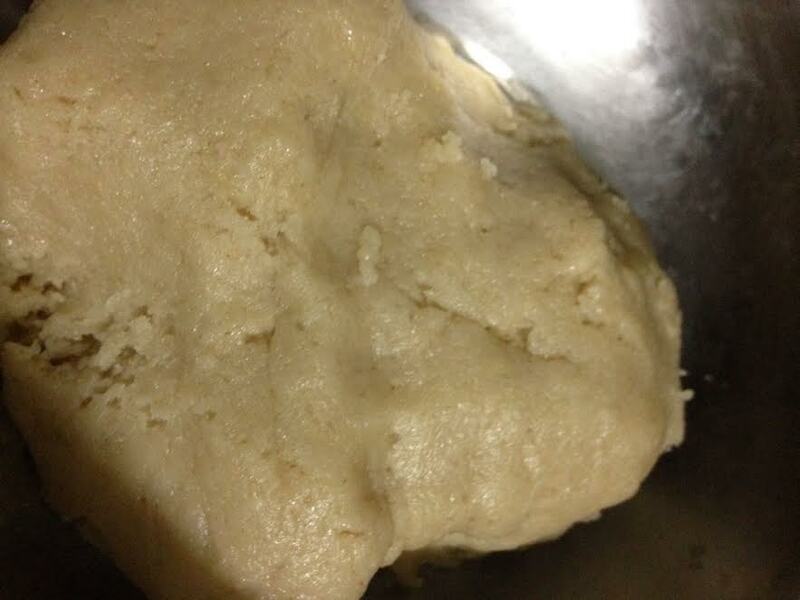 -Mix it with rest of the ingredients and make a nice greasy dough. -Divide the dough into 12-15 portions and make flat round balls from it. -Pre-heat the oven for 180 deg. -Grease the tray and place the small flat balls on the tray. -Bake it for 20-25 minutes. -The nan khatai are readyyyyyyy. Store it in an air tight jar and enjoy with the evening snacks. Yummy ! You make me hungry. I am so much crazy about sweets. This item definitely worth to try.